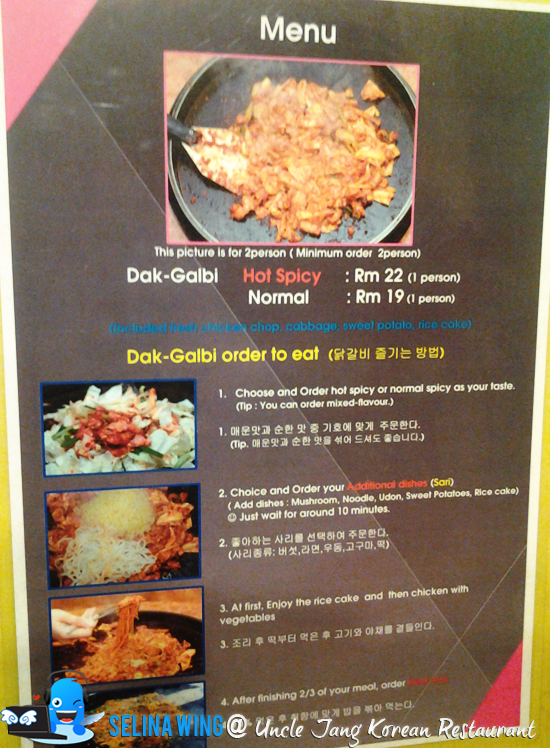 I heard from my friend, that Uncle Jang specializes on Dak-Galbi, which is a popular in South Korea and they set up this restaurant at Bandar Puteri Puchong, Puchong! "HO CHAK" 8TV star guests also went to eat this before! 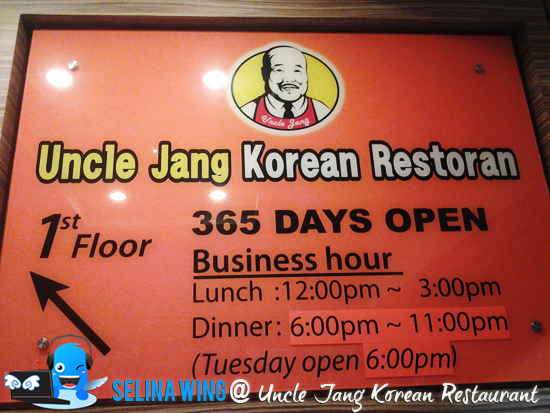 When you see the signboard of Uncle Jang, you take the elevator up to the 1st floor or use the stair. I suggest that you and your family can go there during lunch. There are still many people are queuing so long on every dinner time! 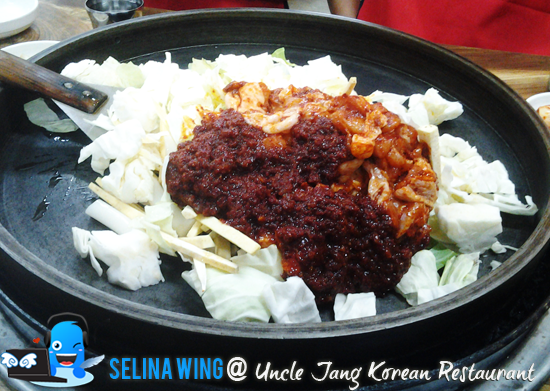 The Uncle Jang's branches located at Mont kiara Solaris, Ampang, Puchong and Bukit Indah, Johor Bahru only. I think that they don't take the reservation, I advise you try to come so early at 6pm, if you want to book one table for your family. While my family are waiting for 10 minutes, I take my time to read through the history of DakGalbi (loosely translated into Spiced Chicken Chunks). It is said to have high nutritional value from the ingredients used: sweet potato contains high beta carotene and potassium which is said to lower blood pressure and cholesterol level and wards off risks of cancer too. 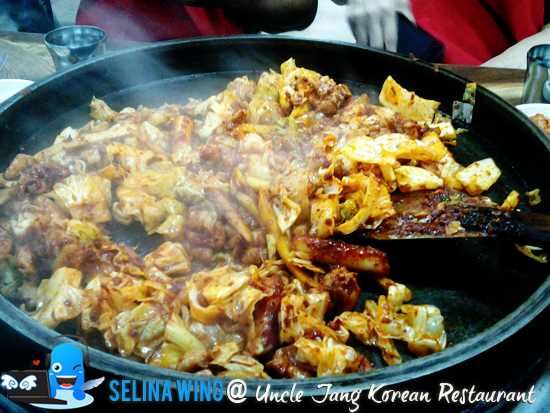 Cabbage is said to contain a lot of essential amino acid and promotes "longevity", that's why Kimchi is an integral item in Korean cuisine.It is a popular local specialty cuisine of the Chuncheon City, and is a must-try dish for many of its tourists. 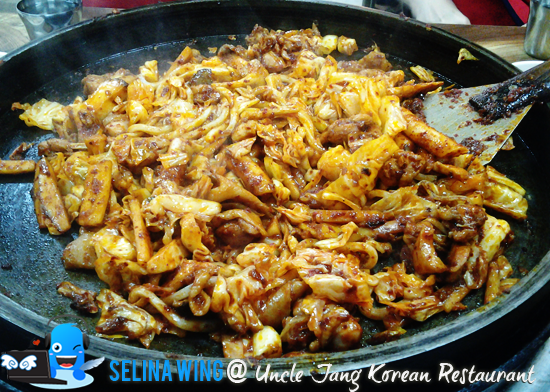 It has grown from a local specialty dish to a nation-wide popular cuisine represeting South Korea! 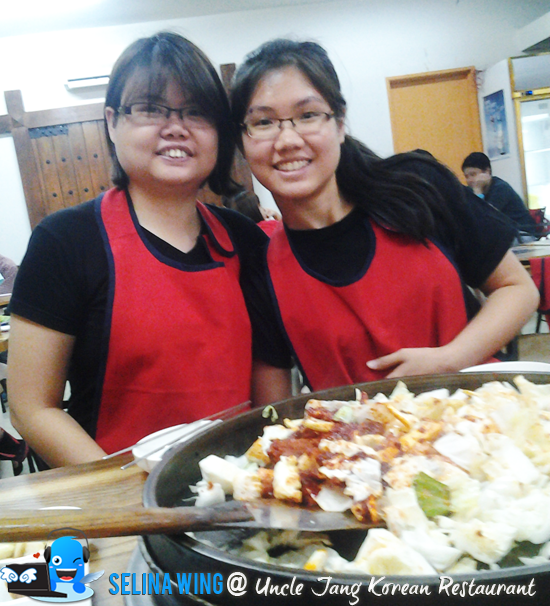 When we sit down and take red apron, we see a hot pot is really bigger so it better for 4 - 6 persons, be enough! 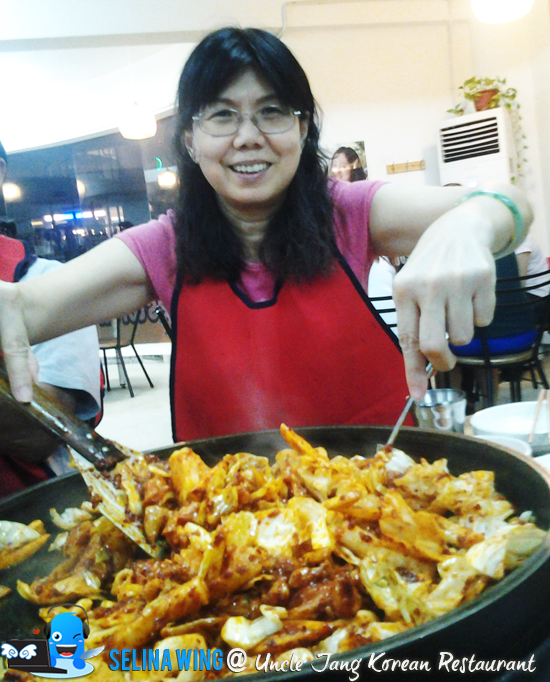 My mom ordered the hot spicy (1) and normal (1/2) with the mixed of chicken chop, cabbage, sweet potato and rice cake only. 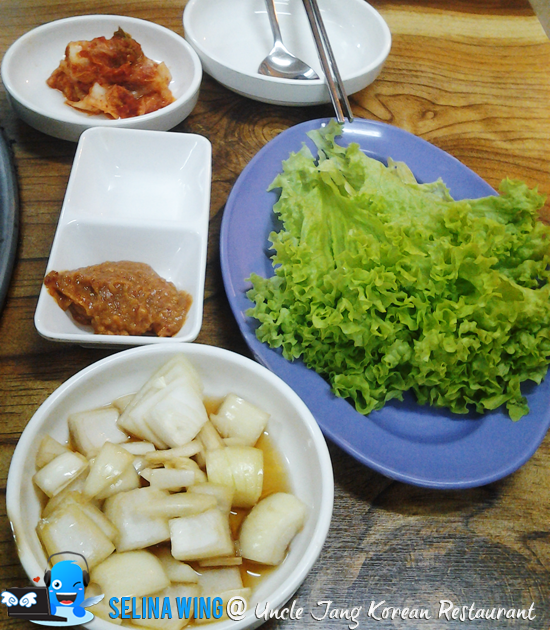 In addition, you can choose your add-ons ; mushrooms, rice cakes, ramen, udon, rice, cheese, sweet potatoes etc. We choose the udon and rice cakes only. So, this is a main course, easy. I felt their service is not enough good, because they cannot refill water for the custromers so always as we need more water! My youngest sister went to get water by herself, while they are very busy! Don’t worry, there are free bottles water can be re-fill on many times, just like other Korean restaurant. The waiter cooked it for us! You no need to do it. My mom like to take photo on herself as enjoyable! We, 3 persons cannot finish all of this! We also drank water too much! Next time, we will not order Hot Spicy anymore in the future. And we must bring 4- 6 persons to join together to finish one big of hot pot! 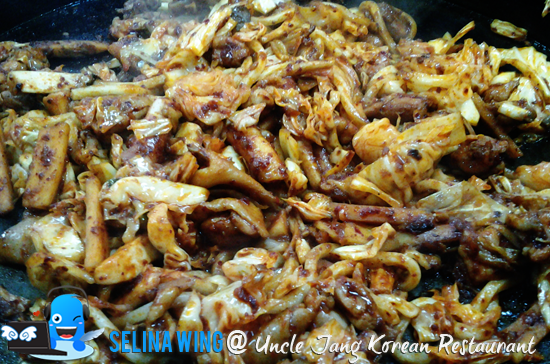 It is not very BBQ, just help to you eat more rice cakes and vegetables with spicy, that can warm your body, so it is suitable for the winter cold weather only!